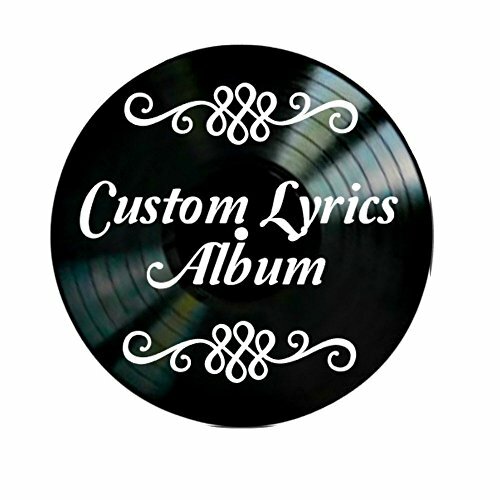 Your lyrics, quote or phrase are cut from vinyl and applied to a vinyl record. The original record label is painted black so the music lyrics are the main focal point. Easily hung on the wall with mounting tape that is included. Your record can also be displayed in a frame that is made to hold vinyl records or displayed on a shelf with a easel. *We will send a mock-up of your sign within 24 hours. Please keep an eye out for it in your Amazon email. Please let us know if you approve or if there are changes to be made. It is essential we know this before your product can be completed. If we do not hear back from you within 48 hours we will make your record from the mock-up sent and no changes, if any, can be made.